For decades we've watched manufacturing leave the US and head to Mexico, China, and other countries. Unions paid Democrats tens of millions of dollars for the past 70 years only to be told there's nothing that can be done to prevent their manufacturing jobs from leaving the US. Now, for the first time ever, we're seeing manufacturing coming back to the US. We finally have a president who is actually doing something to not only prevent jobs from leaving but is actively bringing them back. Democrats are crapping their pants over this. 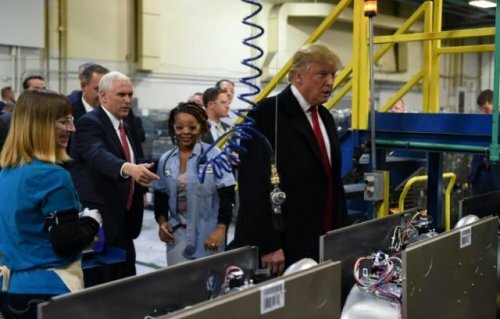 If Trump succeeds in bringing good high paying Union jobs back to America, the Unions will abandon the Democrats and along with them their minority base will too as they get good jobs and realize who made it possible.